My daughter set up her stuffed animals in a semicircle around a picnic blanket. Her plan was a tea party with many of her beloved stuffed animals. She has about fifty, but that is another story. I have asked her many times to give some away but she insists she loves them all and couldn't possibly part with any. As we sat drinking pretend tea and discussing the pressing issues her stuffed animals were facing, I was interested in finding out if she truly loved all these stuffed animals or if we could purge her room of some. Perhaps find another loving home for them. I asked her a question. What is that animal's story? We went through each animal in her room and sure enough, they all had a story. From, this animal was given to me by my best friend in second grade to Dad ran all the way to the back of the Magic Kingdom to get Thumper. Oh yes, he did. As she spoke with a certain adoration for these inanimate fluffies, I felt it reflected in a sense of how the Lord looks on each one of us. Of course, His love is infinitely greater than Sarah's love for Thumper, Dumbo or Mickey, but on a smaller scale, I saw a comparison. 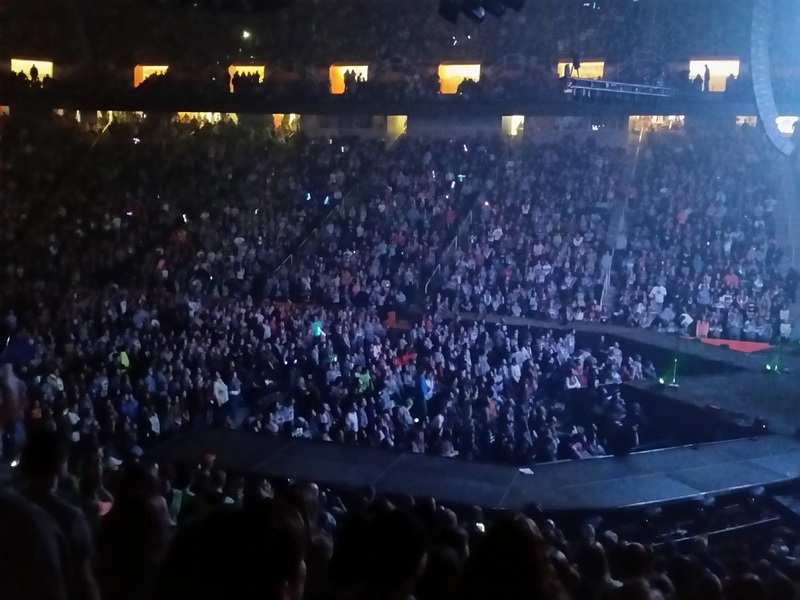 Two nights after the stuffed animal tea party, we went to Winter Jam, a Christian music concert with several artists. 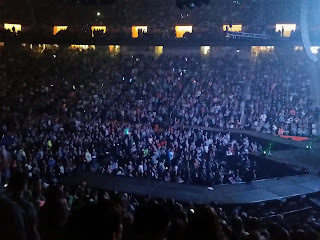 We sat in a stadium of about twenty-thousand people. Looking over the crowd, I felt as if the Lord was saying. Look at their faces. Every face in that stadium represented a story. As I looked around I knew the Lord knew every story. And He adored every person as His own. Some of those stories may have been that their best friend invited them to church in second grade and they accepted Jesus into their lives. Other stories may have been that their Heavenly Father ran to the ends of the earth and beyond in order to bring them to Him and were coming to know Jesus for the first time that night. The Lord sees us each as unique and our stories matter to Him. He knows our stories. He knows all of us and where we have been. We are important to Him and we are adored by Him. No matter if we are torn, old, dirty or our stuffing has nearly been knocked out of us, He adores us and calls us His. He wouldn't part with us for anything. He cares for us. And your Heavenly Father, would run to the ends of the earth and beyond to find you. Praying this truth blesses you today as you think about the love Jesus has for you. He loves you. He knows your story. You are His.